Spear phishing, ransomware, weak security processes, outdated software, commodity malware, crypto jacking, and supply chain attacks are all contributing to data breaches in the UK. Nearly every business in the UK has been affected by a form of data breach over the last year, new figures have claimed. According to a new report by Carbon Black, out of roughly 250 C-suites that were polled, 92 per cent confirmed to have been breached in the last year. Out of those that have suffered an attack, almost half (44 per cent) have been attacked between three and five times. 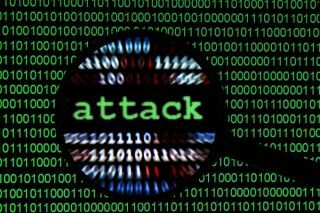 For four in five, the frequency of the attacks has risen as well, and almost everyone agrees that these attacks have become more sophisticated. Hackers are using techniques including lateral movement, counter incident response and island hopping. Looking at the investments businesses are making in cyber security, the report confirms an age-old problem: attackers are spending more than the defenders – and they’re outspending them 10 to 1.